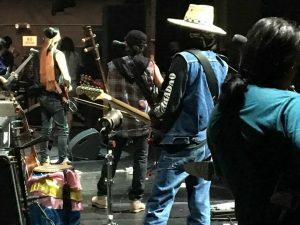 First posted as a customer review at eThaiCD.com. I find that I’m unable to review this album objectively because . . . I’m actually Facebook friends with the artist! You probably can be too . . . go try it! 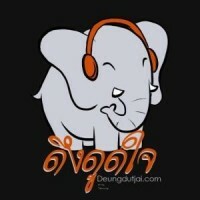 Go friend “Eed Opakul”! Believe it or not, he gets on Facebook and shares songs he’s in the process of writing with his 500 friends. Everyone comments and cheers him on and he comments right back, in real time. It’s a wonderful atmosphere. Everyone’s having fun, most of all, it seems, Eed Opakul! Like his more famous twin, Aed (YES, THAT Aed Opakul! ), he can write a new song every two or three days and never repeat himself in terms of melody or theme. It’s insane! And like his twin, he’s doing his own thing; he’s totally unconcerned that no one else is writing songs about, say, . . . Albert Einstein, or the process of sculpting, or the stateless Rohingya people of Burma (he wrote that song in December, half a year before the problem hit the news cycle). But, those new songs are not on this album, so I’ll try to focus. 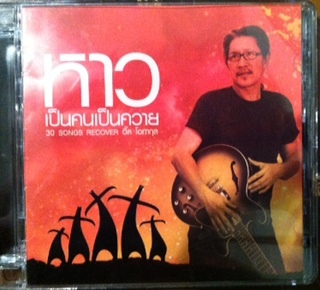 With one exception, all 30 songs on How Bpen Kon Bpen Kwai are Eed Opakul’s own old songs recovered, often radically. That is, you may not immediately recognize these as the same songs. The up-beat 50s-style rock and roll tune Nak Soo Blue Jeans” is now in a minor key! “Peua Chewit” is a fun and funny tribute to Carabao and Carawan filled with little Easter eggs (surprise references to Carabao and Carawan music). Several other songs on this album are playful and seem to be telling silly stories. There is a very personal song about a realistic-sounding breakup: “Yaak Kor Toht“ (“I Want to Say I’m Sorry” [But I Can’t Pretend]). “Yuen Yan” (“Affirm”) is a standout, with heart-rending lyrics and vocals accusing a lover of breaking a promise. 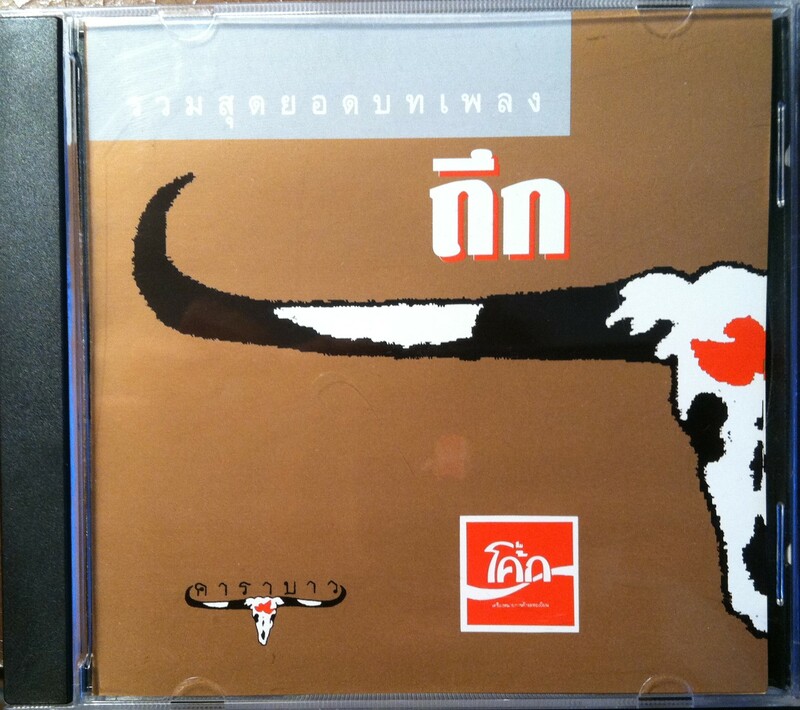 “Tui Pan Tae” (“Pure Breed Buffalo”) is an especially catchy Song for Life protesting drunk driving and the state of the legal system in Thailand. This album really gets rolling, on tracks 7-15 of the second CD. This is where “Tui Pan Tae” and many of the other “Bpen Kon Bpen Kwai” (“Be a Person, Be a Buffalo”)-themed songs are found, including “Kwai Tanu” (Magic Buffalo), “Sanya Kon, Sanya Kwai” (Sanya means “Promise”) and K. Kon K. Kwai (Mr. Person, Mr. Buffalo). An American Thai friend tells me that the saying “Bpen Kon Bpen Kwai” is very deep and hard to translate but has something to do with both people and buffalos having life, and the tension between being someone who thinks for themself and being someone who follows the herd. P’Eed has a beautiful voice, sweet and expressive, with the same range as his brother. To demonstrate this, I played the last song on this album, “AIDS,” for a Farang friend with no connection to Thailand. One verse into this pleading public service announcement for young people to “understand and resist AIDS”, my friend burst into tears, and kept crying. We had to turn it off! It’s a stunning song. The song first appeared on the album Pruksapa by Aed and Eed Opakul in 1996. Before buying How Bpen Kon Bpen Kwai, I didn’t know which of the twins had written “AIDS,” but now I can see in the credits that it was Eed, both the melody and lyrics. 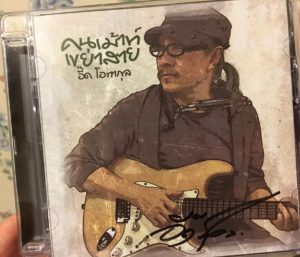 P’Eed’s cover of his twin Aed Carabao’s classic balad “Telay Jai” (Ocean Heart) (the only song on the album not by Eed Opakul himself) is equally remarkable, and quite possibly an improvement on the original. Many of the notes deviate from version we all have memorized; the feel is exactly the same–just fresher. The sound on this album is various and reassuringly old-fashioned (with the exception “Kwai Tanu,” which sounds almost like a Smallroom production): a mixture of Luuk Tung (Thai country), big band sounds, and early-era rock and roll, and folk that is familiar to me as a 50-something-year old. The consensus opinion (on radio and TV shows and among the fans) is that songs on this album are delightful, fun, and relaxing. I could play (and probably have) played this album 100 times. I can’t help but love it. I may have lost my objectivity to review this album properly because I’m so thrilled to be able to interact with such a talented musician on Facebook, but I’m not alone in this. Kudos to P’Eed for building a community of music fans and involving them as he creates music in real time. He states that he totally loves singing, playing, and composing, and that the album is not for himself but for the fans. How perfect is all that? Even Americans can BUY “How Bpen Kon Bpen Kwai” “หาวเป็นคนเป็นควาย” by Eed Opakul HERE at eThaiCD.com, where you can shop in English. 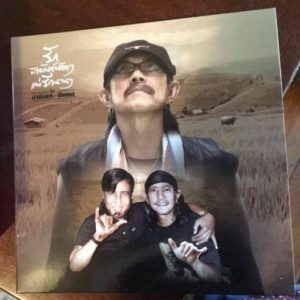 If you want other albums by Eed Opakul at eThaiCD, I think you have to search under “Yingyong Opakul”, which is his real name. He goes by “Eed Opakul” on his facebook page and YouTube channel.